The red variety comes from Greece; the name means "blacks". Synonyms are grouped alphabetically by country Blue Cypern grape, Cypern grape ( Germany ); Kipreico Mavro, Kypreiko Mavro, Kypriotiko, Mavro Kyproy, Skuro Mavro, Staphili Mavro ( Greece Mainland); Cipro Nero, Cypro Nero Italy ); Korithi Mavro, Kritiko Mavro ( Crete ); Ntopio Mavro ( Cyprus ). Despite seemingly indicative synonyms or morphological She may not share similarities with the varieties Mavro Messenikola. Mavrodaphne. Mavrotragano. Mavroudi Arachovis or Mavrud be confused. Confusingly, there are many more varieties with name part Mavro. in the VIVC catalog is a separate variety Cyperntraube synonymous with Cypro Nero out. The variety was first published in 1877 under the name Cipro Nero by the Italian Ampelographen Giuseppe di Rovasenda (1824-1913) mentioned. Made in 2001 DNA analysis it was clarified that the varieties Korithi Mavro (Central Greece) and Kritiko Mavro (Crete) are identical. It is unknown whether the variety is in Cyprus, on the Greek mainland (Peloponnese) or maybe on Crete originated. The medium to late ripening vine is very prone to fungal diseases such as Botrytis and real ones mildew, It produces alcohol-rich, but low-acid, low-color red wines. 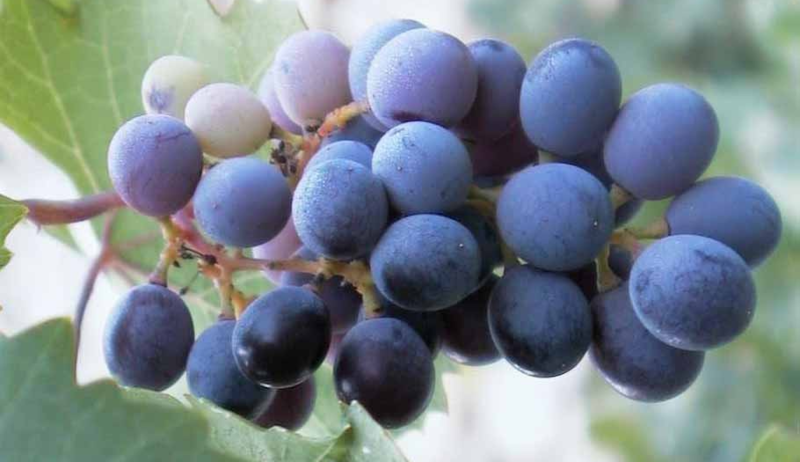 Due to the large berries it is also called table grape used. She will be up especially Cyprus cultivated and occupied here about half of the vineyards. In addition to the white Xynisteri it is part of the famous sweet wine Commandaria, The variety harvested in Cyprus in 2010 a total of 3,575 hectares (the small areas in Greece are not included / considered). Compared to the year 2000, at that time 10,969 hectares, there was an extreme reduction of almost 70%. It thus proved in the worldwide varieties ranking the rank 132. This page was last modified at 1 April 2019 at 10:12.